When we ate out and sat down to a meal, a green tea was served free of charge as welcome drink. And still "is" at many places. So many of us didn’t/don't take the tea as what we pay. When bottled green tea emerged in the market, we thought “Who on earth bought green tea??”. Now the bottled tea is very very popular so that many people take the tea as what they drink from a bottle. Bottled tea is still popular, but the new trend is also seen these days. New green tea cafes are mushrooming here and there. 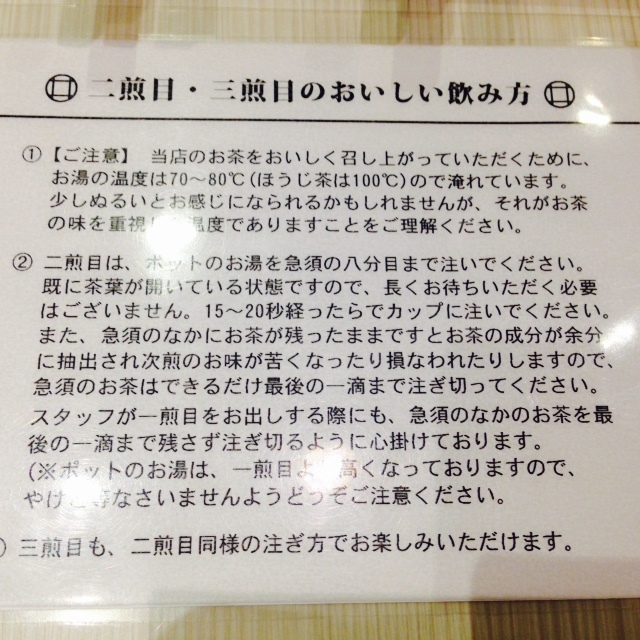 Each café has its own style, tea menu and tea food, but many cafes have the tea menu serving with kyusu (teapot). 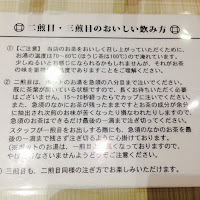 I know people in general go to such a new place mainly because they want to try its special food and sweets, not for tea. But once they visit and have some tea, they can find out its “real” taste and learn how to brew because many cafés teach it. 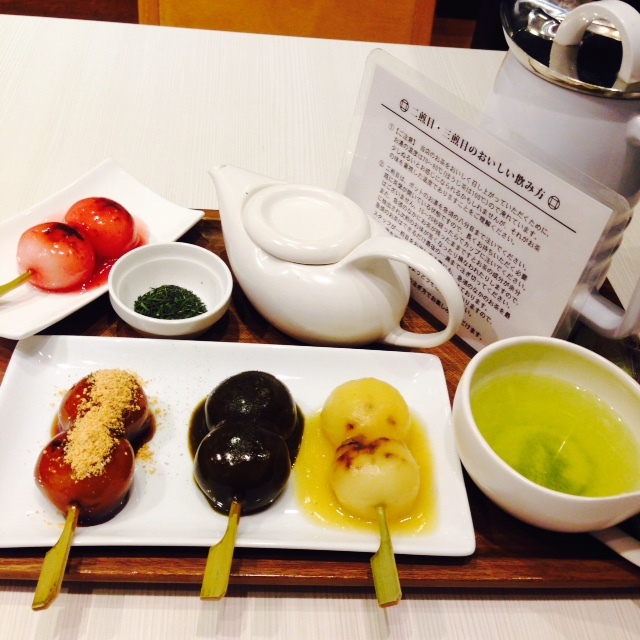 Especially younger people, who didn’t know the real taste made from kyusu, seem to enjoy their green tea time. Anyway, green tea is becoming a thing that we pay. Green tea is becoming a thing that we enjoy.